When I was posting microscopy pictures I mostly used very basic light microscopes to get my images. Though the scopes I worked with are expensive, science today has bigger scales and modern microscopes can look very impressive even when you simply gaze at them. 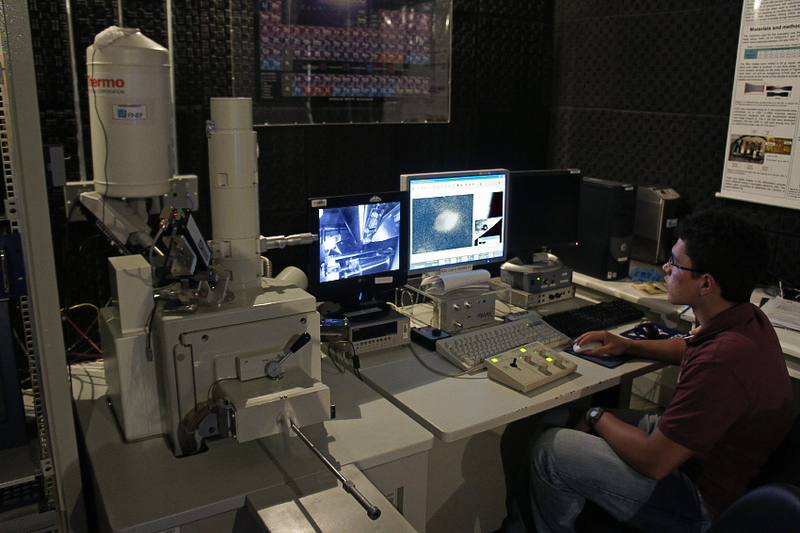 Few months ago I happened to visit a nanotechnology laboratory in Brazil and decided to show some cool gear in this post. Not all microscopes use visible light. Light gives very crappy maximum resolution of "only" 0.2 micrometers. Even that is hard to achieve, to be honest. So when you need to observe smaller things or even molecular structures, optical scopes are absolutely useless. And that's why we need many fancy techniques. 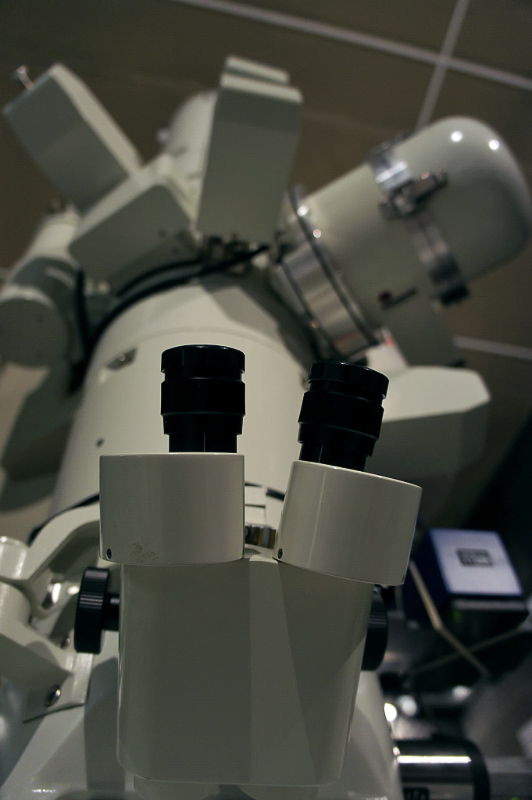 The simplest one involves the use of a beam of electrons, and it's called electron microscopy. The "normal" versions of them are transmission electron microscopes and they can make only images of flat and thin objects. I just loved looking at all the countless elements they consist of. 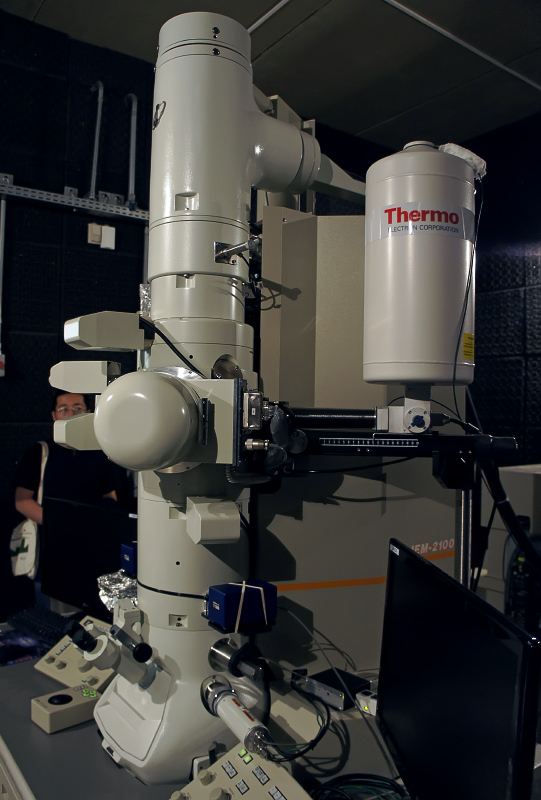 The more sophisticated version is scanning electron microscope that can make images of 3d images. 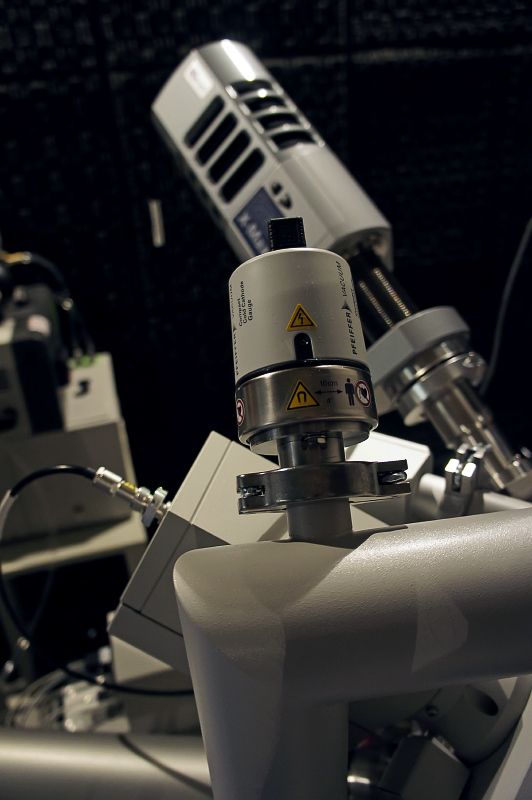 That's one of the most popular types of microscopes called SEM (Scanning Electron Microscope). The images made with SEM are all over the internet and apparently are more popular compared to optical scans that I've been doing. Indeed they give impressive resolution and great detail. However, the objects have to be dead, dried and stained. That's why the animal in the SEM pictures look so mutilated. Hope one day I'll get the chance to look through that monster. The scopes can use other principles than beams of elections, and can give even higher resolution. 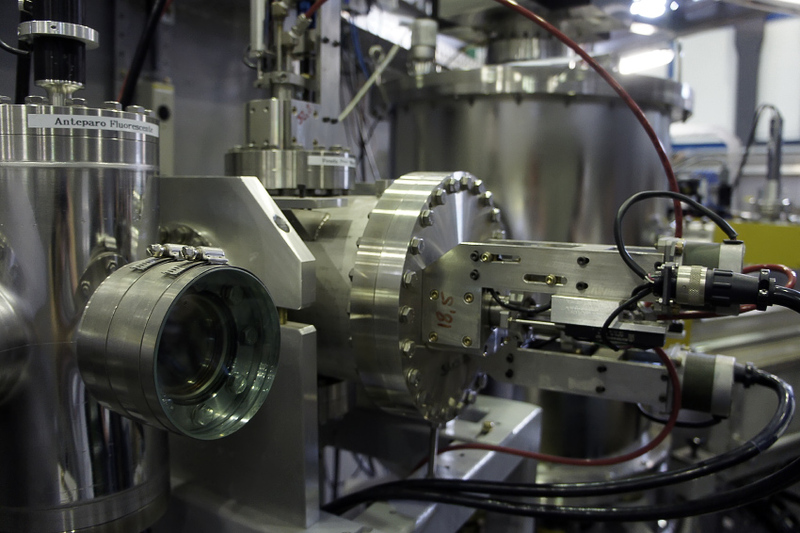 For example atomic force microscopes physically scan the surface of objects that you "look" at. This structure resides inside a 3-story high building. 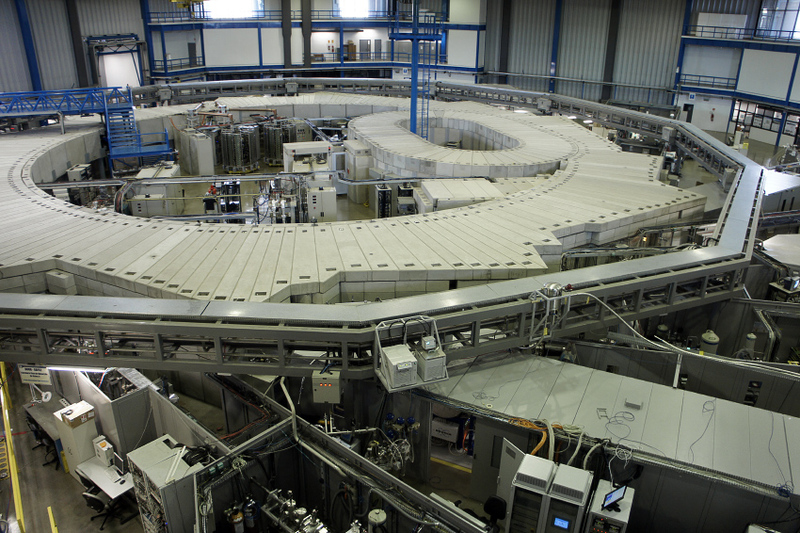 It is a synchrotron. 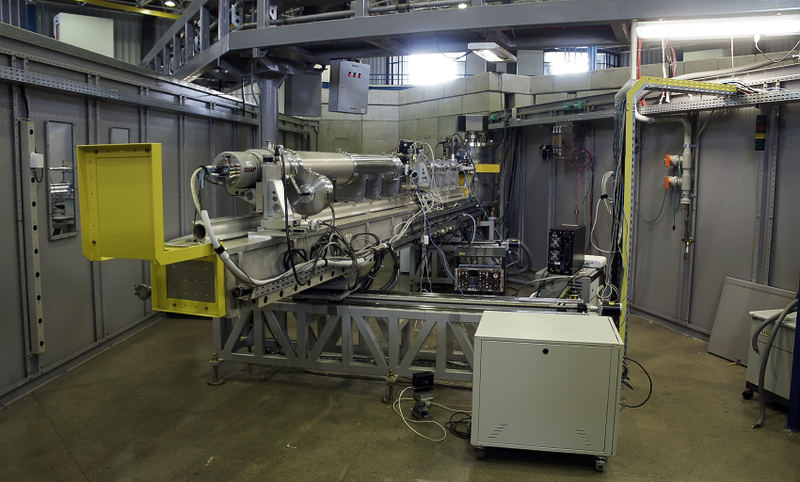 These devices can produce x-rays and other types of electromagnetic radiation (it's normally called synchrotron radiation). X-rays have many interesting properties that the light of the visible spectrum does not do. And of course they can be used to look at and into small things. Such accelerators can produce very intense and highly polarized "light" that can get inside objects. For example, you can take an egg of an ancient reptile and reconstruct the skeleton of the embryo without cracking the egg. Unlike regular microscopes, it has many "lenses". 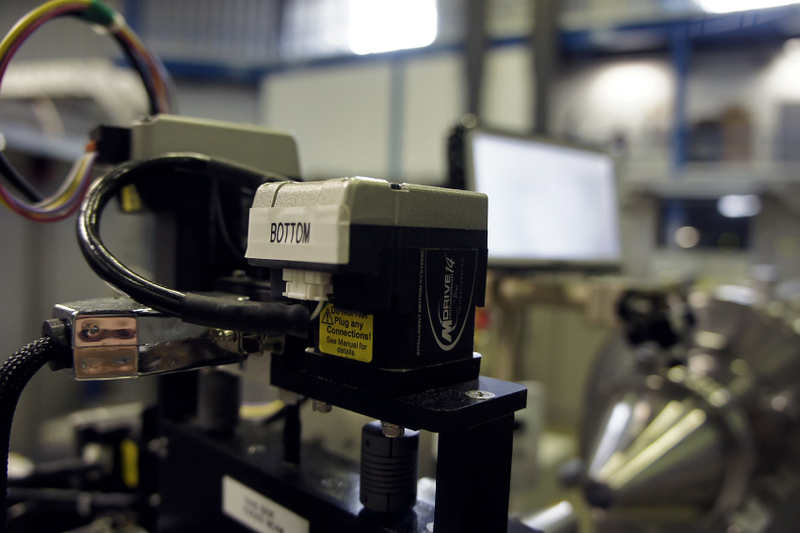 The light is distributed among numerous beamlines. As a result, many researchers can work at the same time and with different objects. The entire construction is designed to keep vacuum inside. Of course, looking at all those innumerate pieces comprising the whole construction provokes fascination. This barrel is basically a "lens." That's the where your can place your specimen. Of course, it's under vacuum as well. 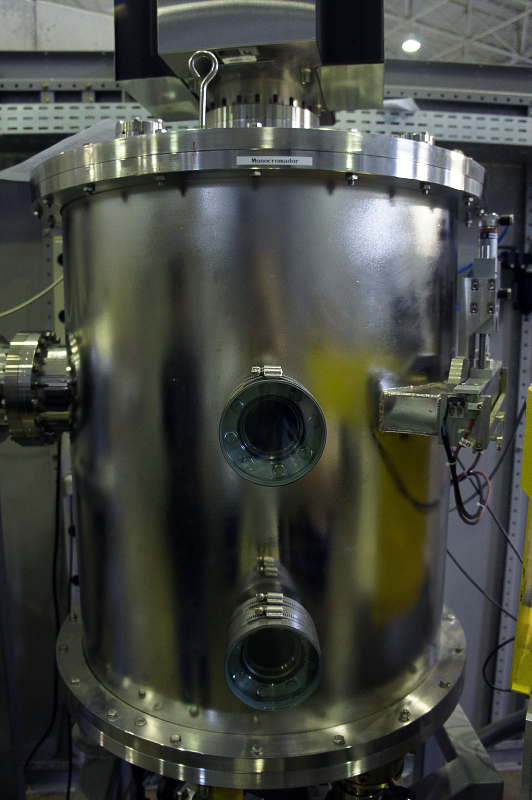 This device looks massive, but from the point of view of the modern science it still is tiny. As we want to see smaller and smaller objects to understand what the universe is made of, the synchrotrones get bigger. The biggest one used for biology purpose is Diamond in the UK. They have a nice website with lots of cool animations. Check out the video as well.